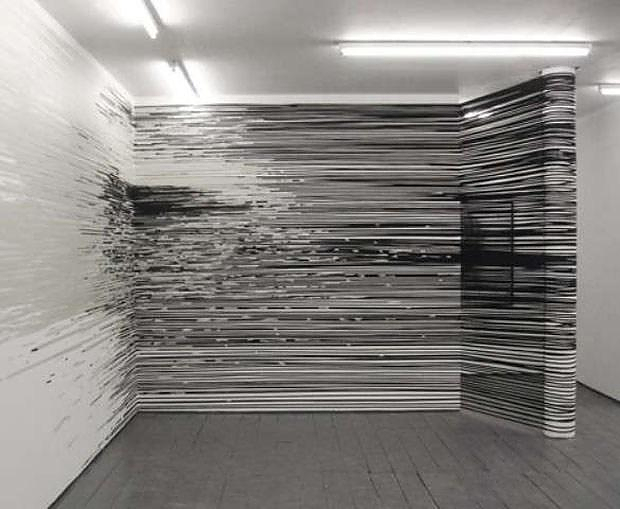 HomeBlogArtAdhesive tape Art Installations by Monika Grzymala. 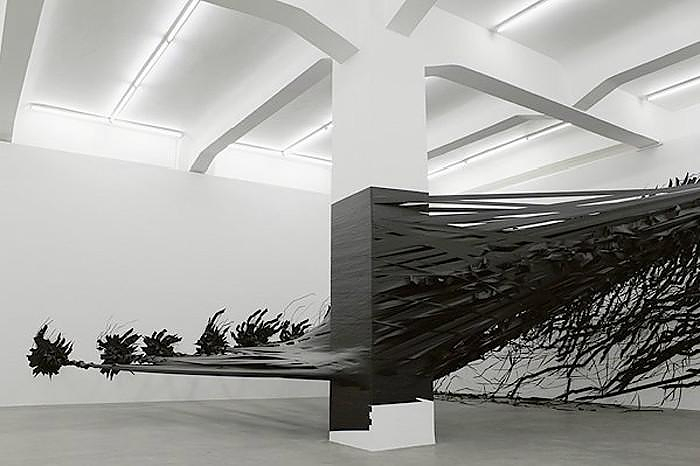 Berlin Based Polish artist Monika Grzymala creates dramatic art installations using several kilometers of black adhesive tape. 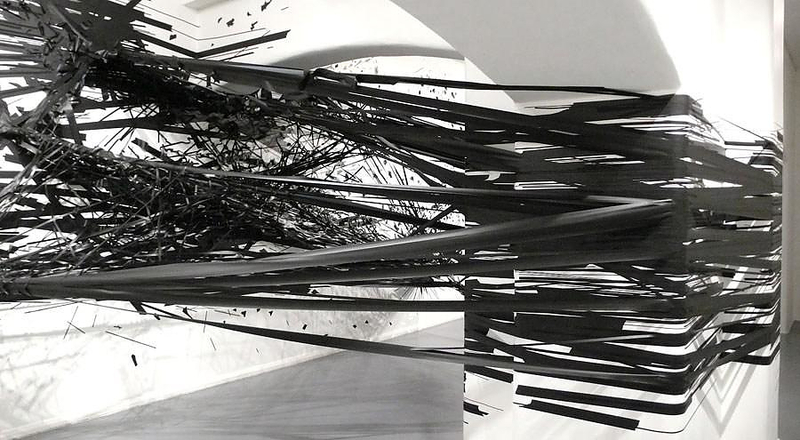 The tape looks like a complex drawing, it covers archways, creates barriers, and spreads throughout the surrounding space like a chaotic three-dimensional net. 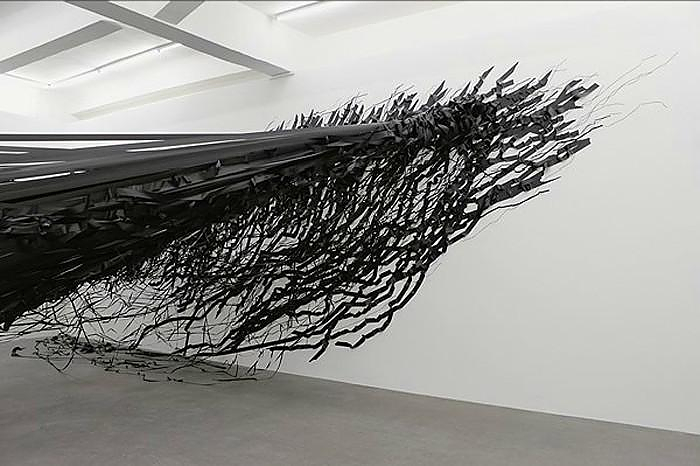 While Grzymala’s focus is largely abstract, the black lines of these impressive art installations cannot help but hold subtle resonance with the complex nets of architectural blueprints and design drawings. 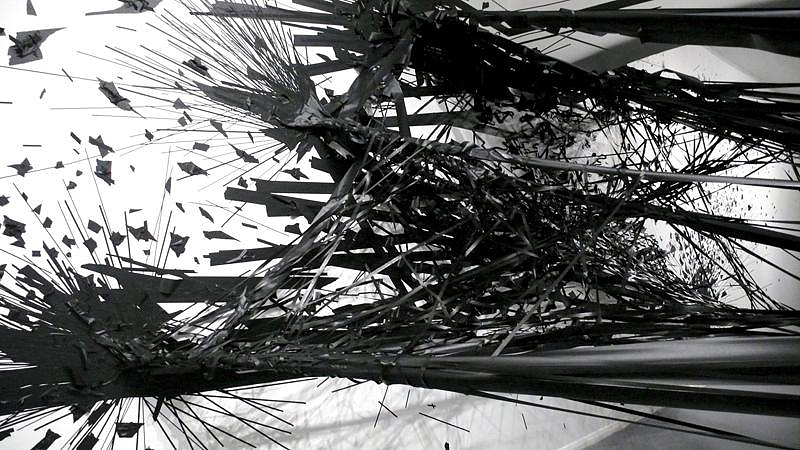 There is also a strong performative element as each piece requires a huge physical effort to create. 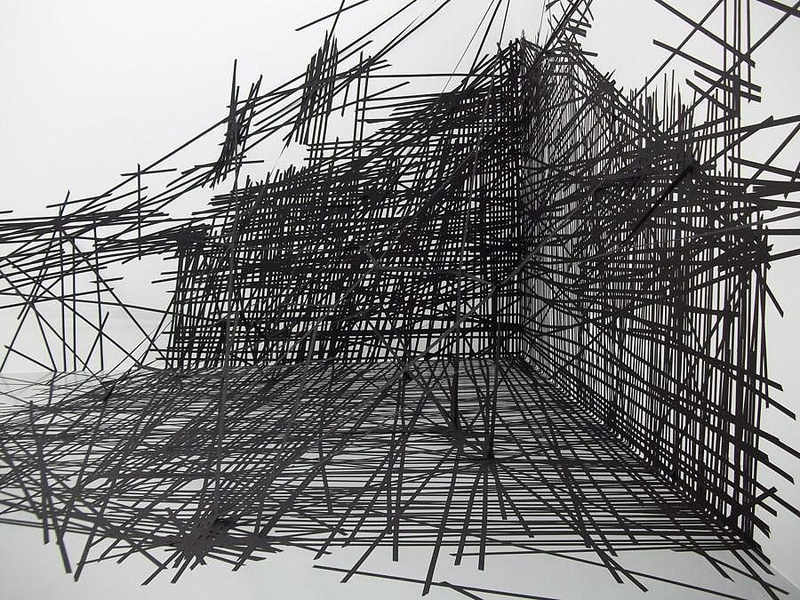 Monika Grzymala has previously exhibited at her work at some of the most prominent exhibitions spaces and galleries around the world, including MoMA New York, the Tokyo Art Museum, The Sumarria Lunn Gallery and the Drawing Room in London. 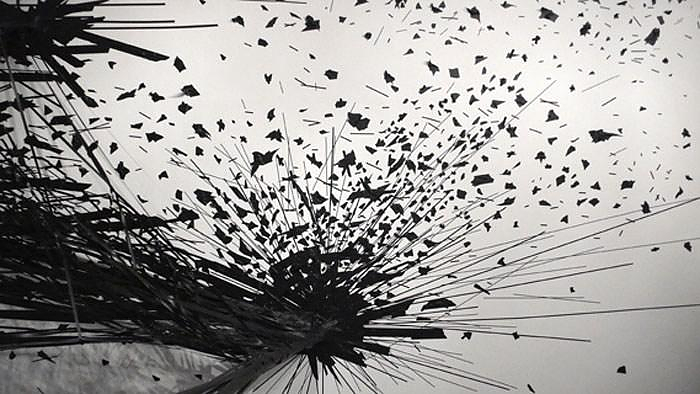 She was born in Zabrze, Poland in 1970. Having moved to Germany with her family in 1980, she went on to study stone sculpture and restoration. 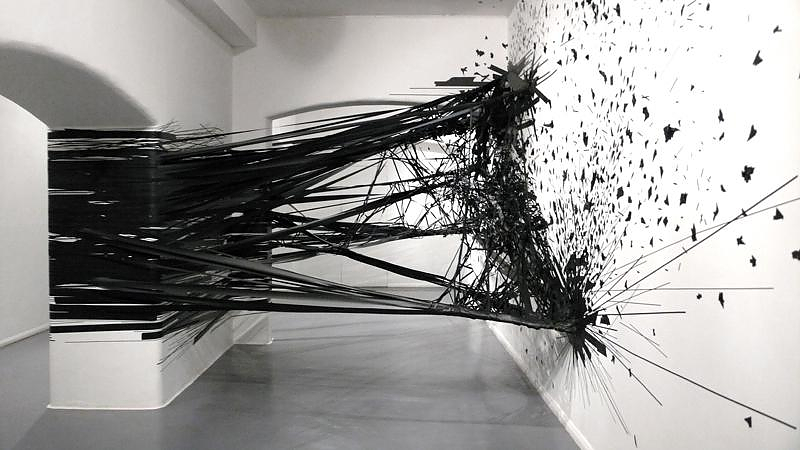 It was only when a professor observed that her interest appeared to lie not in the objects themselves, but the relationships between them that the nature of her work changed. 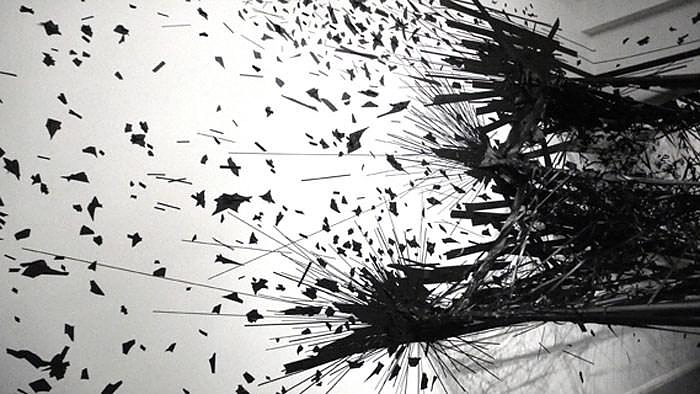 She stopped making sculpture and focused on drawing, exploring the basics of line and mark. 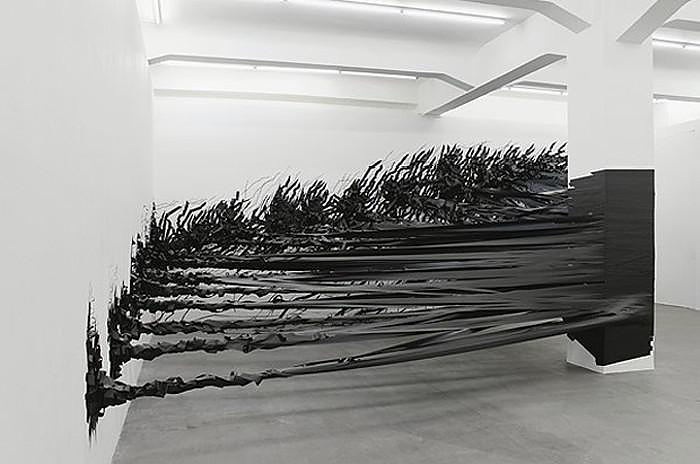 Describing her use of materials in terms of distance rather than weight or amount, Grzymala claims her works are more akin to performance than conventional art installations. 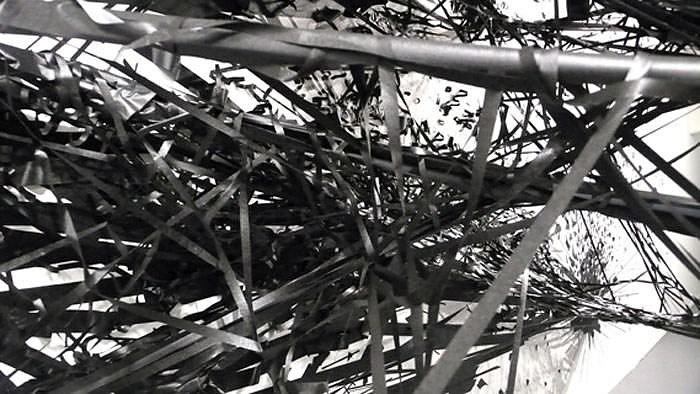 By measuring her used spools of tape in length rather than number, she documents the physical effort she invests in every work. “Whenever I leave a work, I feel as if I leave a part of me, a part of my body behind. There’s a connection – an invisible line from Berlin to London to New York.” She says.